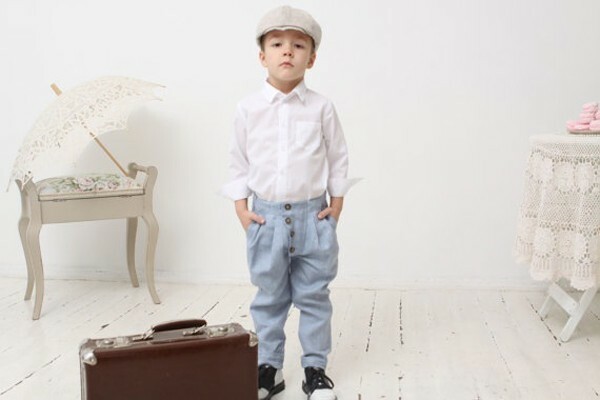 Prepare for your heart to melt when you catch a glimpse of this unbearably cute collection of classical clothing for both little boys and girls. Adorable suspenders, newsboy hats and stunning dresses, all handmade with love and care. Created by a mother of two, Mimiikids is full of adorable clothing for children ranging from ages 2-12 years that will truly make your heart skip a beat. I am totally smitten with each and every outfit from this gorgeous collection and I am sure you will be too. 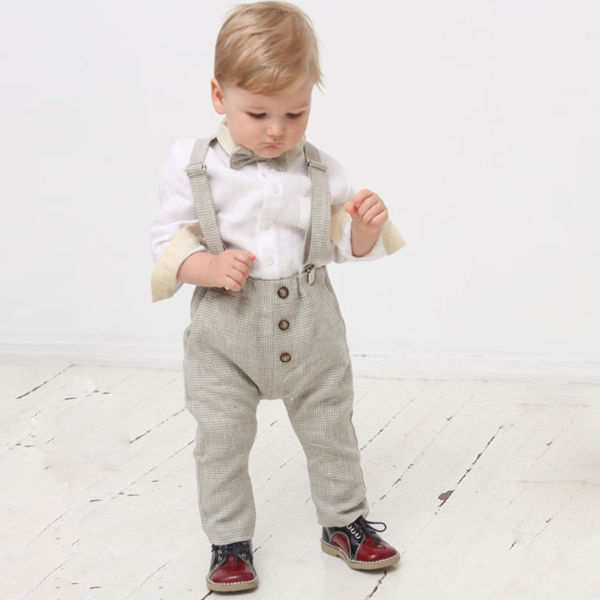 Your little man will look very dapper in these Baby Boy Linen Pants With Suspenders priced at €55 and available for little ones aged 0-24 months. These gorgeous pants are made from high quality linen with a matching bow tie and adjustable suspenders. Pair them with a button up shirt for special occasions or dress them down with a casual tee. This simple Girls’ Striped Dress is absolutely gorgeous. It’s made from a natural pre-washed linen with a white collar that adds a touch of fancy. Stylish, comfortable and too cute for words, the dress is perfect for playing with friends, outings and special occasions. Featuring two front pockets the dress is available in both grey or natural and is priced at €39 for ages 2-8 years. For an on trend look these Boys’ Baggy Pants are to die for. No zippers, no buttons, just an elastic waistband. Comfortable and stylish with two side pockets your little one will love them just as much as you do. Accented with a flap and four buttons the pants are available in sizes for children aged 2-8 years priced at €38. You can find the rest of this delightful collection over at Mimiikids.